“Force 2” – Faux feminism, false patriotism… the list is endless! Tusshar Sasi	 November 19, 2016	 Leave a Comment on “Force 2” – Faux feminism, false patriotism… the list is endless! Let’s get it straight. Abhinay Deo’s spy action drama Force 2 has its moments. Starring John Abraham and Sonakshi Sinha in pivotal roles, the film somehow fails in the core department – writing. Let this analysis be from the way each character is defined! Written by Parveez Shaikh and Jasmeet K. Reen, Force 2 gives us one of the most ill-fated leading ladies in recent past. Ill-fated, because she is present all through but gets to do nothing. KK (Sonakshi Sinha) is introduced as a kaabil (able) officer. The emphasis here is on her gender. Fair enough! However, with every passing scene, Force 2 proves her inability. A trained RAW officer, she shivers while shooting someone point blank. An unfortunate shadow to the brawny cop hero, she whines like a teenager assuming lead position in a mission that she clearly isn’t leading. KK, like any other stereotypical Indian woman, also finds it tough engaging in a conversation that is slightly sexual. With the film and its massively misinterpreted idea of feminism, Bollywood proves yet again that it does better when gender roles are shamefully slotted – men to fight, women to gyrate. Also with reference to her recent dud Akira, Sinha should seriously reconsider her perceptions on gender equality. The antagonist Shiv/Rudra (Tahir Raj Bhasin) manages to set a certain mood but the writing, again, fails him. Hindi cinema, for once, is unaware of the idea of a pitch-black villain. He is either a psychopath or one with a deep emotional wound. Rebels without an earth-shattering cause? Not in commercial Hindi film. Contradictory as it may sound, Bhasin’s previously noted act in Mardaani kind of met this prescription. He trafficked minor girls while offering us no emotional back story. Freshness was easily amongst various reasons why the film and his character worked. Cut to Force 2, Tahir does a derivative of the very same character – sarcastic with a penchant for phone conversations, his desi ways are also intact… Anyhow, the twist in his tale disposes every bit of novelty. Old, hackneyed, convenient… we would rather run out of words. And one should wait till our hero serves him much-deserved ‘justice’. Groan!!! One ought to give credit where it is due and Abhinay Deo serves us a stellar first half. The chases are a treat – be cinematography (Imre Juhasz, Mohana Krishna), sound design, action choreography or overall layering of the narrative, the filmmaker get them all right. In fact, even patriotism in this half is pushed beneath the carpets with our ‘butterfly’ leading lady striving to be a better officer and the brooding hero seeking personal vendetta. We don’t tend to mind the film’s characteristic way of playing to the gallery either. In the latter half, what we don’t get is the writers’ notion of patriotism. While it is noble enough to demand recognition for RAW agents, the villain’s motive behind bumping off other agents is highly misplaced. Also, everything seems a cakewalk for him – swapping identities, securing a job in the embassy, leaking confidential data, dealing with allies. Hence, the director’s slickly interpreted frames, eventually, stop making sense as the writers fail him – scene by scene. Force 2, at one point, assumes a soppy, melodramatic tone that makes us cringe on why this film was conceived to begin with. This leads us to a weirdly chaotic, badly acted climax that evidently has all technicians stoned. Camera movements will give amateur 3D action games a run for their bucks. Editing (Amitabh Shukla, Sanjay Sharma) is so bad, we hardly decipher what’s going on. Action choreography is inadequate and the accompanying soundtrack (Prasad Sashle) is an earsore. From what kicked off as a reasonably promising thriller, Force 2 ends up an undercooked squib in the second half. 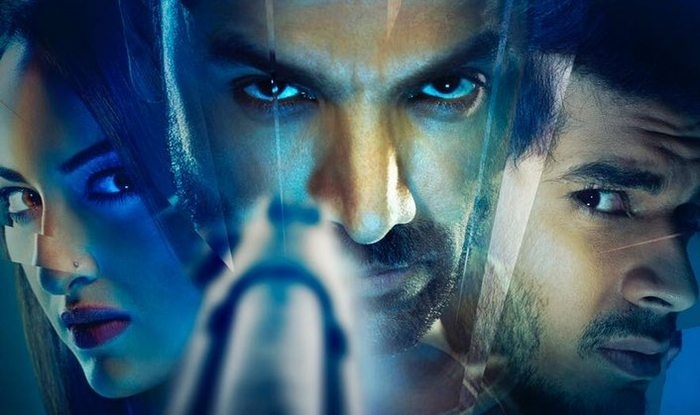 This is one venture that also makes us question sensibilities of the usually reliable producer – John Abraham. The characters are dry, contradictory and disengaging. Writing is stale, shaky and ends up glorifying crime. No amount of badassery will make us invest emotions in this violent film that that makes futile attempts to entertain. P.S. : Genelia D’Souza, you owe us a thunderous comeback. Few seconds that has D’Souza on screen – mind you – are the best in this so-called chilling action drama. Previous Post“The Salesman (Forushande)”… How does a man turn into a cow? 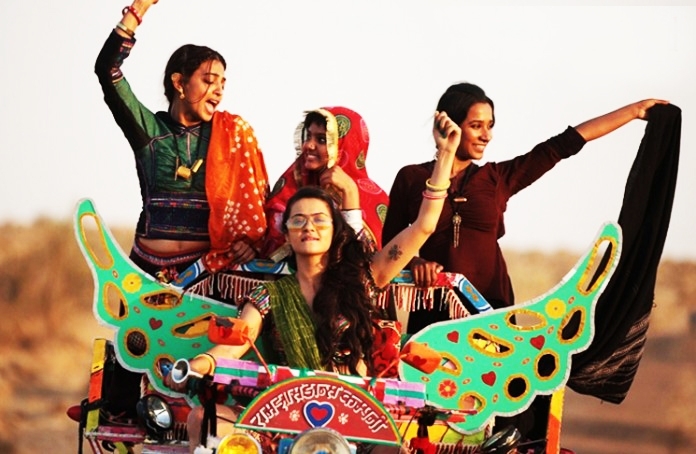 Parched – Women on Top. Full Stop. “Jodhaa Akbar”… Chronicling the Original Power Couple! “After the Storm “… A truthful picture of life and its unsaid miseries!